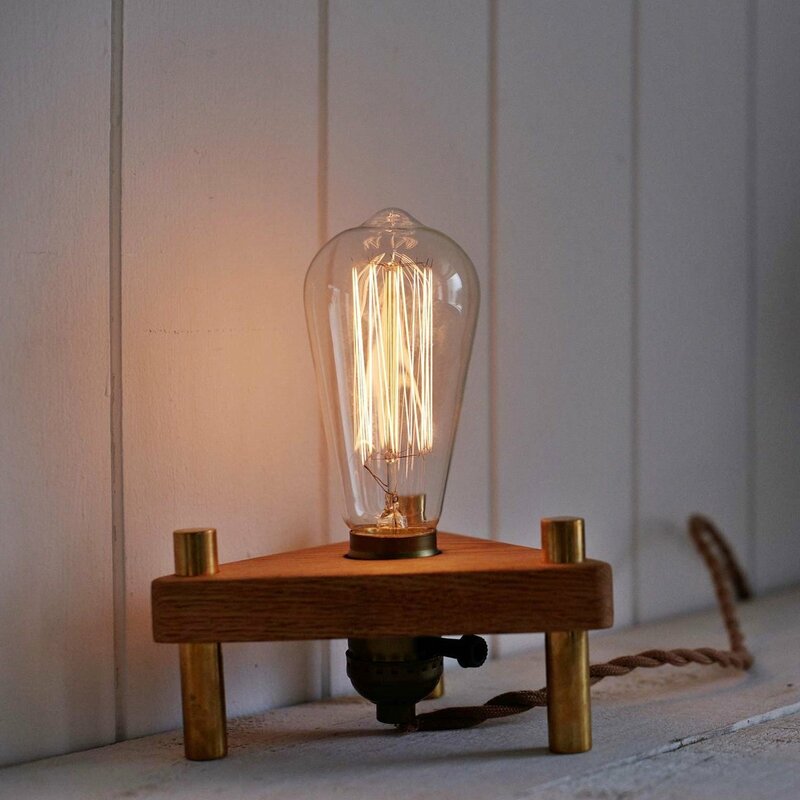 A lamp made of white oak, Brass and Edison bulb. The classic feel of a light bulb and the harmony of brass create a romantic atmosphere. -There are two types of light bulbs: original and vertical. Check out Bermuda Triangle Wood Lamp at its original source.